Our range of products include compression spring, industrial spring and metal spring. We take pleasure to introduce ourselves as one of the leading organizations, engaged in offering a comprehensive range of Compression Spring that is capable of resisting compressive loadings. Designed by making use of the best quality raw material and high-end technology under the stern direction of our deft professionals, this spring is available in varied sizes for our customers to choose from. This spring is offered at industry leading rates to the clients. We are widely acclaimed as major enterprise involved in manufacturing and supplying finest grade Industrial Spring. These springs are manufactured using fine grade steel and progressive technology which imparts maximum durability and high compressive strength. Our offered springs have profound uses in industries, owing to their availability with us in wide stipulations. Furthermore, with high-end inspection as per latest quality norms, we have attained wide clientele base to serve. 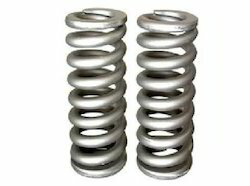 We are an eminent organization of high quality Metal Spring. This spring is designed and manufactured under the stern supervision our well-practiced professionals using quality examined stainless that is procured from the certified and honest vendor of the market. 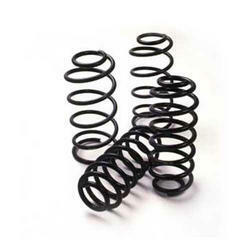 Ideal to be used for suspension, we offer this spring in various sizes for our patrons at market leading price. 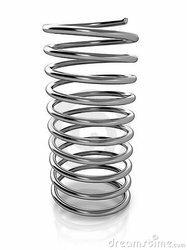 Looking for Industrial Spring ?